Short Business Description: The Ritz Club, a name known the world over. 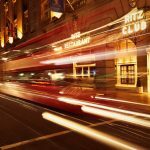 From arrival in London in one of our luxury limousines to the warm welcome each guest receives, the club is without doubt, one of the most luxurious and exclusive private member’s club to be found anywhere in the world. The Ritz Club, a name known the world over. From arrival in London in one of our luxury limousines to the warm welcome each guest receives, the club is without doubt, one of the most luxurious and exclusive private member’s club to be found anywhere in the world. And only The Ritz Club can make this promise. Our name alone assures you of nothing but the best; from the most exclusive membership to the friendliest reception, the finest food and drink enjoyed in the utmost comfort, the highest levels of opulence – and, of course, the greatest gaming experience. In addition, we can provide everything that London has to offer – including our concierge service, who procure tickets that are seemingly impossible to obtain, for top shows, sports and entertainment events, little is beyond them. Precisely what you would expect from The Ritz Club.